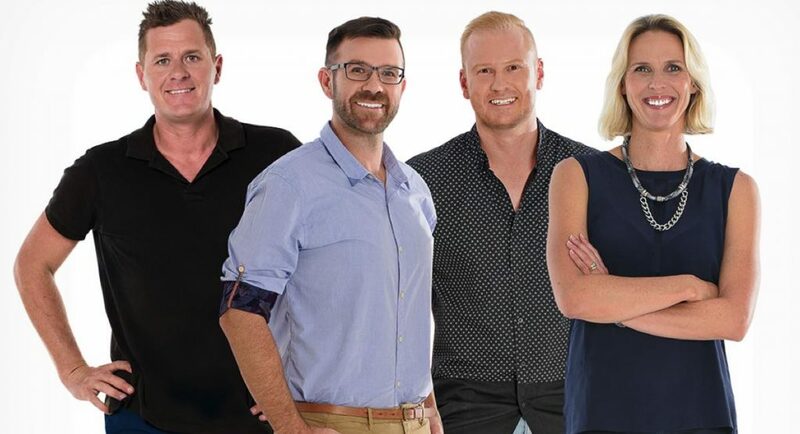 Many in the radio sector were initially puzzled by ARN’s decision to appoint UK broadcaster Christian O’Connell as the host of Gold FM breakfast, but now it is all starting to make sense just two weeks from O’Connell’s first day on air. The Absolute Radio UK broadcaster hosts his final show, billed as the Ultimate program, on Friday morning in the UK and flies out to Sydney late Friday night. His dog Nisha has already left the UK as it needs to sit in quarantine in Melbourne for 10 days before it will be reunited with its family. O’Connell created havoc on his penultimate show on Thursday when he gave out his mobile phone number on air, promptly triggering a mobile meltdown as listeners from all over the UK, and parts of Europe, rang to farewell him. 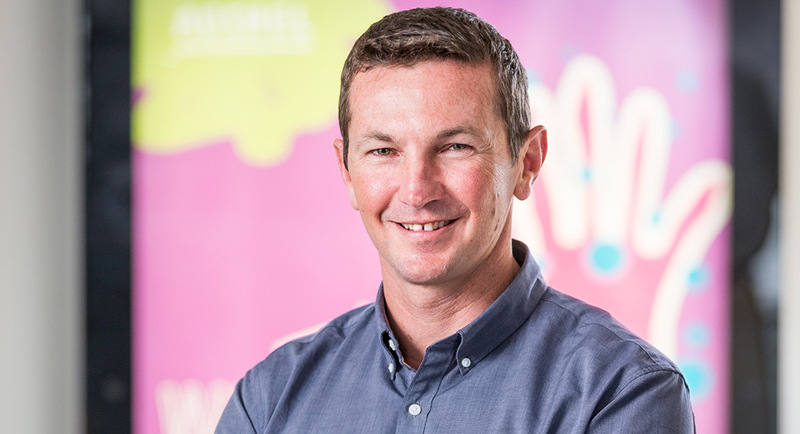 Christian O’Connell said this week about the move: “It’s been a pleasure and a privilege to broadcast on Absolute Radio across the UK for the past 12 years to two million people, but I’m now looking forward to heading to Melbourne to start my new show on Gold, and my family is excited to live in such an exciting and vibrant city, and in a country that has more than three sunny days a year,” he said. That person from the Hamish and Andy team is Jack Post (aka Cacklin’ Jack), who will join The Christian O’Connell Breakfast Show. Jack will take on the role of producer and sidekick. For the past 10 years Post has worked on creative and production for the Hamish & Andy Show and has also worked on their TV series Hamish & Andy’s Gap Year. He began his career in radio at the age of 15 as an announcer on Melbourne’s community radio station SYN FM, and has most recently been working with Hamish and Andy on their podcast. “I’m excited to continue executing my simple career strategy: only work with radio’s most talented presenters and see how far their success can carry you,” Jack Post said. ARN’s national content director Duncan Campbell said: “After a lot of planning and preparation I am genuinely excited to be welcoming Christian and his family to Australia next week. “His internationally acclaimed show format has made him one of the world’s most awarded radio hosts and reinforces ARN’s commitment to delivering innovative and high-quality content to our audiences. Melbourne listeners haven’t heard anything like this before. 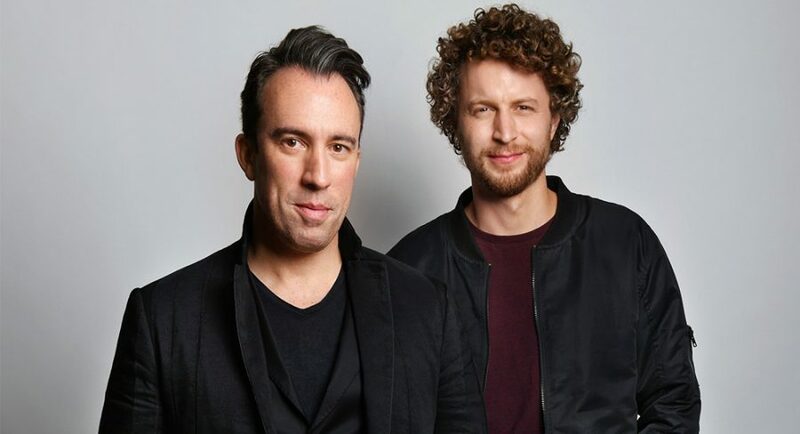 Helping O’Connell launch his new Melbourne breakfast show will be his Absolute Radio producer and friend, Aussie Nick Daly. O’Connell will travel to Melbourne with his two children Ruby (13), Lois (11), his wife Sarah and their dog German Shepherd, Nisha. 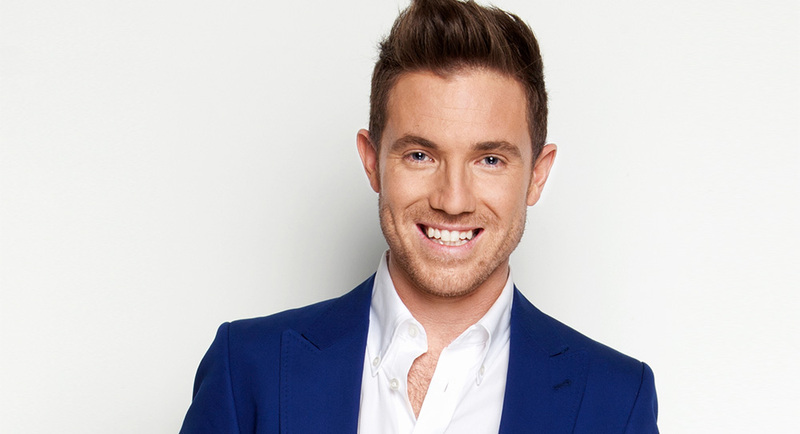 The Christian O’Connell Breakfast Show will commence on Monday June 4. One of the biggest success stories at Fairfax Media in the past decade has been the readership and revenue growth for its Traveller section. The pull-out section is now published in The Sydney Morning Herald and The Age every Saturday and Sunday. This weekend the title is publishing its first all-glossy liftout magazine called The Europe Issue. Mediaweek visited Traveller editor Anthony Dennis (pictured) this week at Fairfax Media to speak about the special issue and how telling people about airline seats, hotel rooms and exotic destinations has blossomed into a multiplatform adventure with diverse and growing revenue streams. Dennis joined the brand as editor just over five years ago. “We have been able to capitalise on Australians’ interest in travel,” Dennis told Mediaweek. “It now means so much to Australians. If you look at the list of discretionary choices of expenditure by Australians, travel is right up there – almost too high perhaps when it ranks above tertiary education! Listen to James Manning’s full and un-edited interview with Traveller editor Anthony Dennis. Fairfax Media has had travel sections for close to a quarter of a century in its major metro daily newspapers. 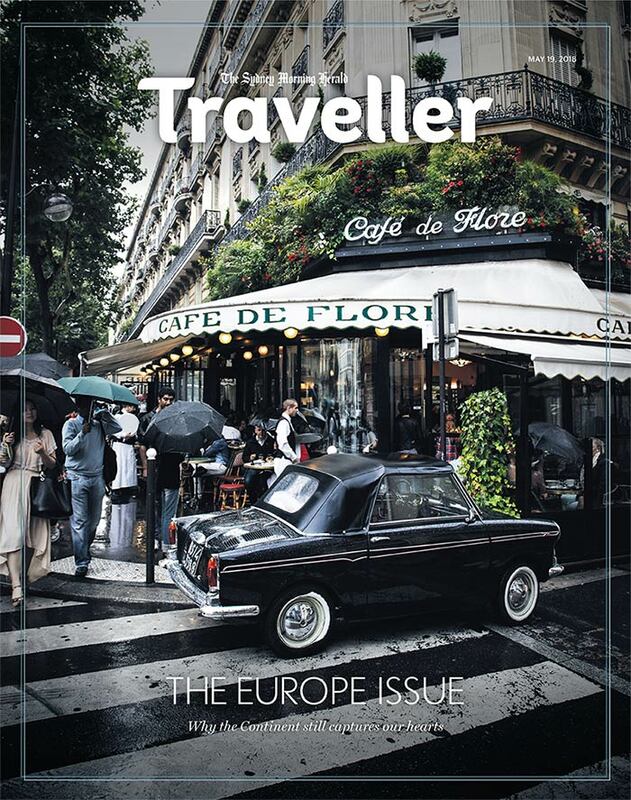 Ten years ago the product was relaunched as Traveller when the papers converted to compact formats. “Everything in print also goes online,” Dennis explained. His insiders tip for people who don’t want to wait for Saturday and Sunday every week – much of the content is published online prior to the weekend. “Some of our stories appear right across the Fairfax digital network around Australia and in New Zealand. The Traveller reach is a lot wider than it might seem.” There are also extra stories that work best online and don’t make their way into the print editions. Dennis has been on one tour and will be part of two more in the future. “It was pretty much a career high for me to walk onto the ship and see our readers who have paid a considerable amount for the trip. We had 100 readers on our first trip – that was very successful. Bauer Media’s NW is a generalist magazine that is happy to be the alternative to all the other weekly entertainment titles in the market. Editor Mark Brandon (pictured above) told Mediaweek that this strategy is paying off with the magazine recording a fourth consecutive growth in readership. “There is a lot of competition in the entertainment market. But that is also why we have seen a growth in readership of 18.4% YOY. This is the biggest of any of the mass women’s titles,” Brandon said. NW risked hindering this growth when it upped its cover price by 20 cents in the second half of 2017. “NW is now the most expensive weekly entertainment magazine in the market,” Brandon said. “The cover price $5.20. “We haven’t seen a decline in sales. In fact, we have seen growth. Our market share versus our competitors is the highest it’s been since the end of 2016. 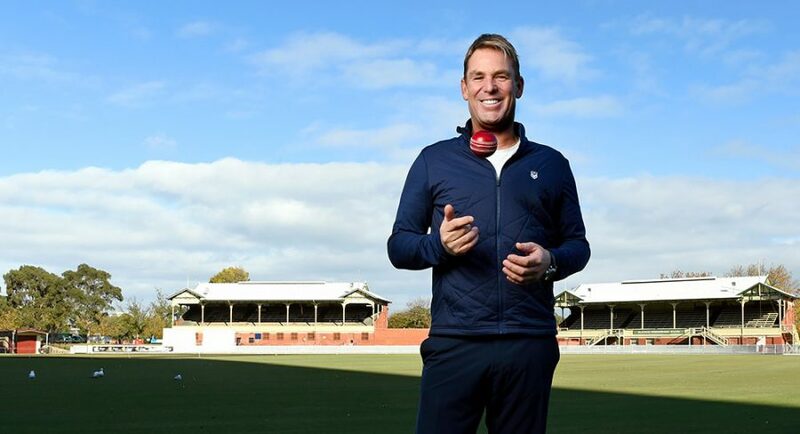 Foxtel has confirmed Australia’s most successful bowler, Shane Warne, has joined its cricket commentary team. The celebrated leg-spinner, who played 145 Tests and 194 ODIs for Australia, taking a total of 1001 wickets, will help lead Foxtel’s new dedicated 24/7 cricket channel, Fox Cricket. Warne joins recent signings and Aussie greats Adam Gilchrist, Mark Waugh, Mike Hussey and Mel Jones, former England stars Michael Vaughan and Isa Guha and he will join Allan Border and Brendon Julian to lead Fox Cricket’s coverage. Warne said he was blown away with the team that Fox Sports has built and can’t wait to be part of what’s an exciting time for cricket in Australia. “I am absolutely delighted to be joining the amazing team that Fox Sports has put together. It’s a significant time for Australian cricket, and to have a team like this covering the game is really important. And to be part of the team, and part of what lies ahead, is something I’m really excited about. Foxtel and Fox Sports CEO Patrick Delany said: “We promised to build the most formidable cricket commentary team in Australia, and we have done that. 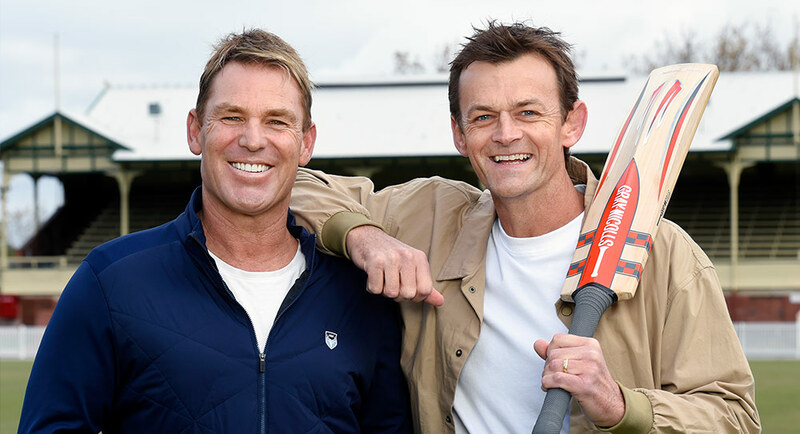 “Warnie is the perfect person to help lead the biggest cricket shake-up in history – an incredible player and now one of the most popular commentators in the game, a straight shooter with an astute cricket mind who says it how he sees it. On Tuesday May 22 YouTube is launching a new music streaming service – YouTube Music. The new service will be available in Australia on launch at a cost of $11.99 a month. YouTube has also revealed its is rebranding YouTube Red as YouTube Premium. The YouTube Music service will eventually replace Google Play Music. Whether you want to listen, watch or discover, it’s all here. YouTube Music is a new music streaming service made for music: official songs, albums, thousands of playlists and artist radio plus YouTube’s tremendous catalog of remixes, live performances, covers and music videos that you can’t find anywhere else – all simply organised and personalised. For the first time, all the ways music moves you can be found in one place. 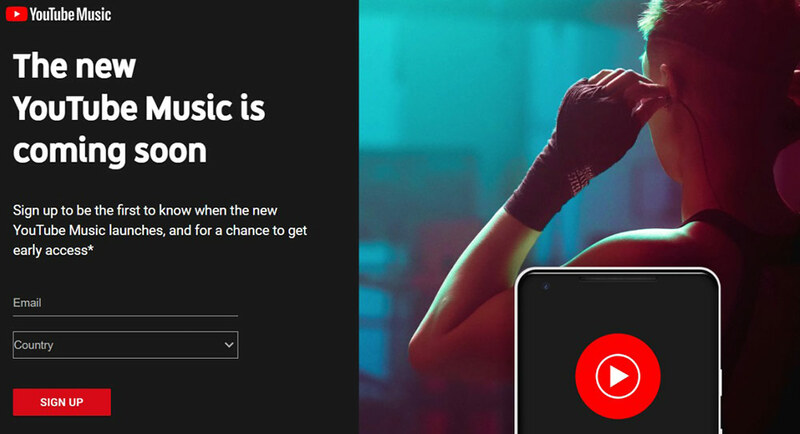 While fans can enjoy the new ad-supported version of YouTube Music for free, we’re also launching YouTube Music Premium, a paid membership that gives you background listening, downloads and an ad-free experience for $11.99 a month in Australia. Current YouTube Red and Google Play Music subscribers in the US, Australia, South Korea, New Zealand and Mexico will continue to get the features they already enjoy at the same price they pay today. 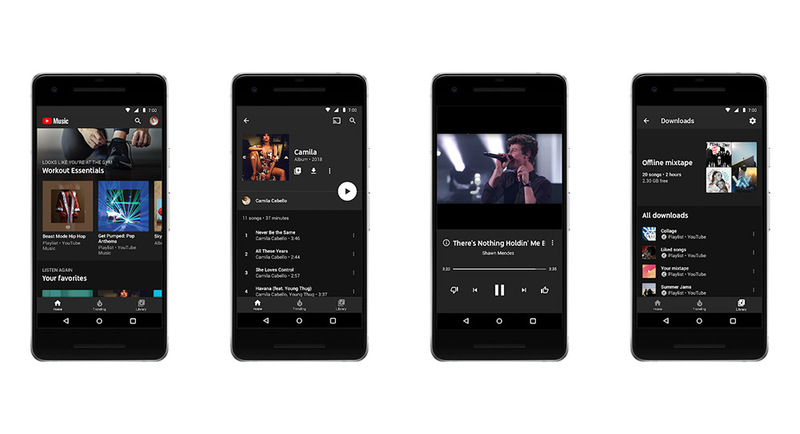 Google Play Music subscribers in all other countries will automatically have access to YouTube Music Premium as soon as it becomes available there. And if you use Google Play Music, nothing will change – you’ll still be able to access all of your purchased music, uploads and playlists in Google Play Music just like always. Starting Tuesday, we’re rolling out early access to the new YouTube Music experience in the US, Australia, New Zealand, Mexico and South Korea. Government proposals for a new free-to-air TV operation at Radio New Zealand appear to have been cut back. Before the election Labour said $38 million would be set aside. Yesterday’s budget allocated just $15 million for the 2018-2019 financial year for RNZ, to be allocated once an investigative committee has reported back to Parliament. Better Public Media campaigners for the new channel are “concerned” Labour promises for the new FTA channel RNZ+ will be delayed or compromised. Dr Ruth Harley has been appointed chair of New Zealand On Air, the government media-funding agency. She was foundation executive director of from 1989 to 1995. Harley replaces Miriam Dean who is ending a second three-year term. Harley was chief executive of the New Zealand Film Commission for 10 years. Harley recently returned from Sydney where she has been a screen industry consultant and she was head of Screen Australia from 2008 to 2013. NZ On Air board allocated NZ$131 million of grants and subsidies to media in 2017. For the second year in a row, NZME’s The Weekend Herald was named Best Weekly Newspaper and Newspaper of the Year at the Voyager Media Awards. The 2018 awards are the first sponsored by internet provider Voyager. The New Zealand Herald/NZME had 21 category wins. Rival Stuff, owned by Fairfax, won 16 awards. There were 104 awards in total. The Stuff Website Stuff.co.nz – won best website alongside the independent publisher Newsroom.co.nz, whose staffer Melanie Reid was named reporter of the year. Stuff won Best Team Investigation for its investigation The Valley about NZ army activities in Afghanistan. 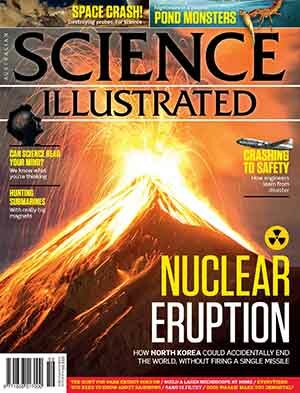 Magazine of the Year went to New Zealand Geographic for the second year in a row. Editorial Executive of the Year was New Zealand Herald editor Murray Kirkness. Matt Nippert was Best Business Journalist. 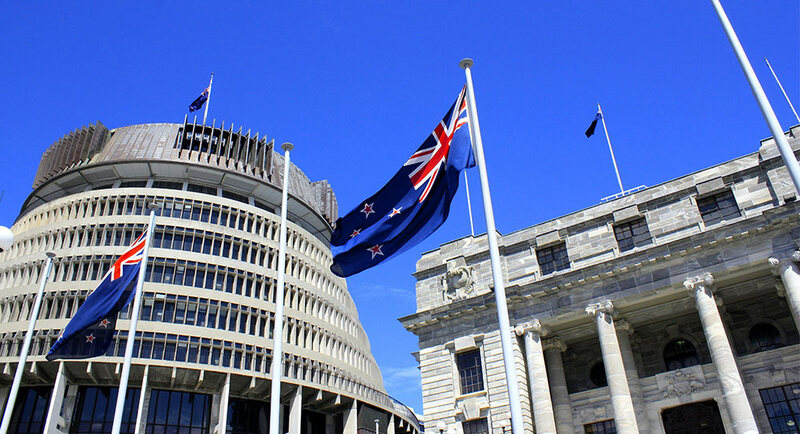 The New Zealand government has said it wants closer relations between state broadcasting institutions Radio New Zealand and Maori TV. Last week the government announced new Maori chairmen of both. 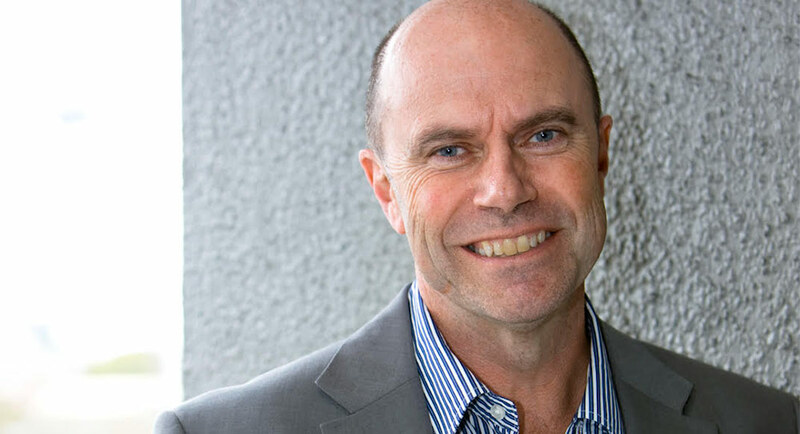 Jim Mather, a former chief executive of Maori TV, has been made chair of Radio New Zealand while businessman Jamie Tuuta replaced Georgina te HeuHeu as chair of Maori TV. Both organisations are in transition. Maori TV is struggling to find a mainstream audience and meet targets. The 2018 NZ Radio Awards were also held last week, marking the return of Radio New Zealand after a three-year gap because the public broadcaster been unhappy with the raucous tone of the event in the past. 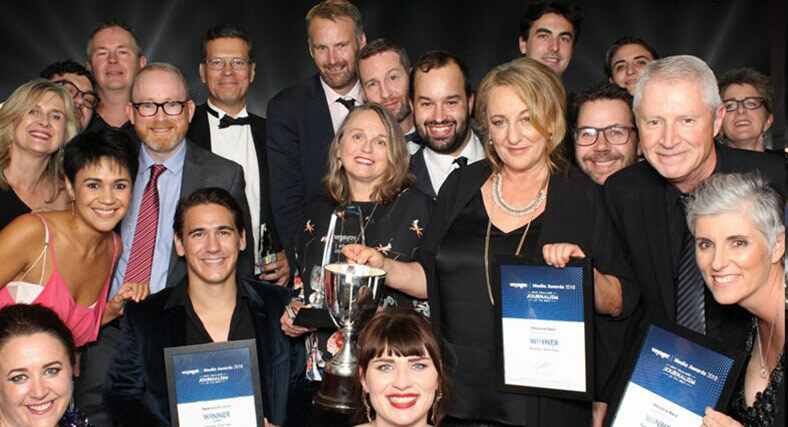 The commercial radio body, the Radio Broadcasters Association, branded commercial categories as “premium awards” while RNZ was focused on news and current affairs. Best music show was Jay Jay, Dom and Randell on The Edge. Best Music Non-Breakfast Team was Jono and Ben, The Rock Network. Best Talk Presenter, Breakfast or Drive was Duncan Garner, RadioLIVE Network. Station of the Year, Surveyed Market was More FM Canterbury. Station of the Year, Non-Surveyed Market was 1XX Whakatane. 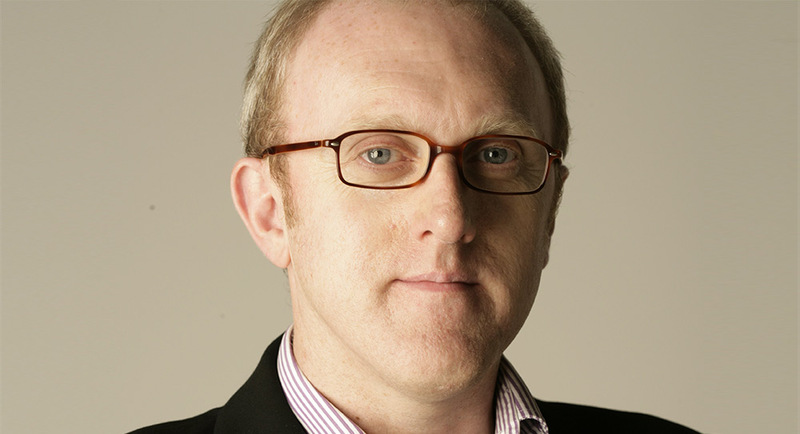 RNZ political reporter Benedict Collins was Best News or Sports Journalist. An RNZ series of interviews with former Prime Ministers won best documentary or podcast. 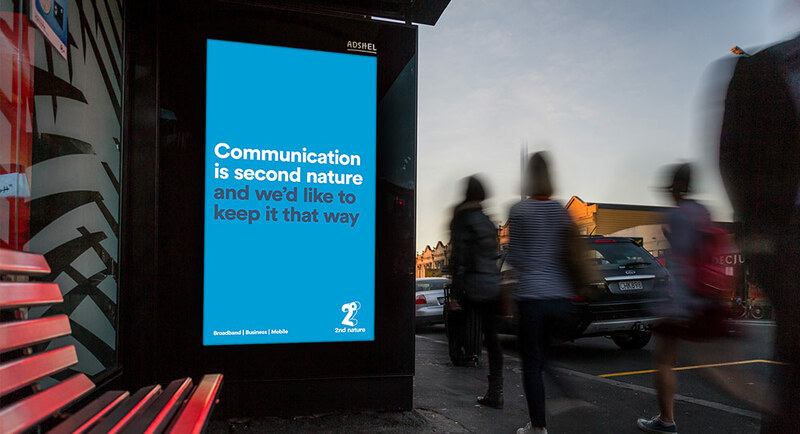 Adshel New Zealand took out the Media Sales Team of the Year award at the NZ 2018 Beacon Awards, which were held last week on May 10. The accolade recognises excellence within the crucial media owners’ sales function. The judging panel looked for evidence of a clear strategic roadmap that allowed for the delivery of outstanding business performance. The Beacon Awards are hosted Commercial Communications Council in association with NZME. More at mediaweek.com.au, or full list of winners here. GfK’s 2018 first quarter audience ratings released last week showed talk stations down compared to the fourth quarter of 2017. Broadcasters attributed the fall to a long hot summer that benefitted music stations. All three talk brands slumped. The Radio NZ cumulative audience was down 17,300 on Q4 and 21,300 for the breakfast program Morning Report. Newstalk ZB was down 17,900, as was the breakfast show. The much smaller audience for Radio Live was down 7,700 – with the breakfast program, The AM Show, down 4,300. TVNZ surprised many by moving its interview-based serious current affairs show Q&A into a Sunday 9.30 pm primetime slot. The change from the non-commercial spot on Sunday mornings takes effect on July 29. It is a bold move for the state broadcaster which, along with MediaWorks’ Three, has been withdrawing from its commitment to current affairs. Around 6pm one brisk autumn night in the Auckland suburbs Lindsay Mouat’s pal went out for an evening stroll. He noted the surprising number of TV sets flickering behind windows. There is a feeling from some that viewers are abandoning traditional linear television. “In the industry, we have to be careful trying to comprehend media consumption habits – that we don’t get caught in bubbles of trends that don’t necessarily reflect reality,” said Mouat, chief executive of the Association of New Zealand Advertisers. New Zealand is a small ad market – around NZ$2.5 billion last year according to industry figures – and Mouat suggests content is sometimes susceptible to “under-resourcing”. “I know that among the local community there is debate over the quality of media generally in New Zealand,” he told Mediaweek. When asked if New Zealand was worse than other countries, Mouat replied: “There is less balance overall – it is anecdotal but some people I talk to believe there has been something of a race to the bottom here,” Mouat said. He does not mention clickbait – a word loathed by digital publishers – but he says the focus on high-impact stories to boost ad revenue is due to the reliance on ad revenue. That is exacerbated by earlier decisions by NZ to not consider a paywall. Overall, he says New Zealand is a small “contracting” market where advertisers are taking advantage of competition so they can avoid spending more. “We are not seeing media inflation,” he said. Business and advertising had been strong for most of 2017, but tailed away. New Zealand media reflected a myriad of partnerships between publishers, trying to create scale in a fragmented market. The merger of Fairfax with NZME would have created a monopoly with the combination of nzherald.co.nz and Stuff.co.nz dominating digital markets. ANZA opposed the merger, obviously because it would reduce competition. New Zealand is a small neck of the woods, assailed by Facebook and Google and media agency transparency the same way as other markets. Mouat sees ANZA members as more sceptical and wary about the numerous media options. “Broadly, advertisers are starting to take a longer view more strategically about what they are doing and realising that a short-term focus over the past three or four years has not been good for delivering growth,” he said. It’s been a busy week for Adshel NZ General Manager Nick Vile. The team has just finished moving into a new office, and is still celebrating a gong from the previous night’s Commercial Communications Council Beacon Awards (held on Thursday May 10): Media Sales Team of the Year. The accolade is in fact Adshel’s second Beacon in two years, with the company winning Media Business of the Year in 2017. “It’s a great way to go into the new premises, and good recognition to the team for what was a very strong year for us last year,” says Vile. “To be recognised with the Media Business of the Year Award last year was particularly special. We’ve always been an under-the-radar quiet operator that just went about our business, so last year was a real coming of age for us – where we were able to actually get out there and talk a bit more about who we are and what we’re about. Adshel NZ is currently in its fourth phase of a digital rollout of “flash new shiny” digital panels, says Vile. In 2012, Vile was named General Manager of Adshel NZ. He joined the company in 2010, which, back then, says Vile, “operated very much in silos within a small team”. Nine’s Today show was at “Wedding HQ” in the shadow of Windsor Castle. Guess what? Sunrise was there too, with Sam and Kochie telling viewers this morning they were the only Australian broadcaster allowed inside the castle grounds. When they said “inside”, it looked like they were inside the outer castle walls. The Sunrise team had tea at The Ritz and Mark Beretta was trying to read the sport from a rowdy London pub. Nine’s guests on the set at Windsor included a very busy Dickie Arbiter. Home and Away finished its week with 623,000. The channel then went into royal wedding overdrive with three Meghan and Harry pieces and then a fourth, close to midnight, on Diana. Invitation To A Royal Wedding did 410,000 at 7.30pm. Meghan & Harry: Royal Rebels was then on 195,000 in Sydney and Brisbane. Other markets got The Front Bar at 8.30pm with 297,000 on Seven early and 7mate later attracting 211,000 in Melbourne, well ahead of The Footy Show on 176,000. The not-very-anticipated drama Harry & Meghan: A Royal Romance then screened after 9.30pm to 235,000. The late, late show was Diana: A Love Affair with 105,000 watching. Chris Allen was reporting a story on A Current Affair about a farmer who has been having trouble giving away 12 acres worth up to $7m. The show also gave Kmart some valuable airtime about a new homewares range. After two nights just over 800,000, the Thursday episode did 790,000. 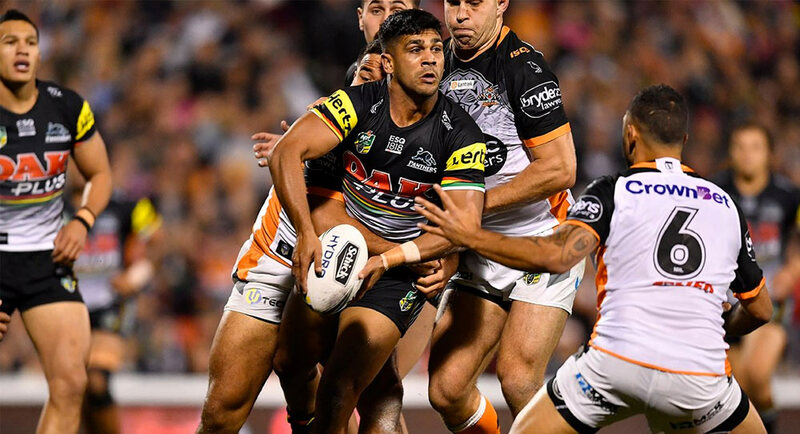 The Thursday NRL match was Penrith v Tigers with 420,000 watching across all metro markets on Nine or 9Gem – 253,000 in Sydney and 131,000 in Brisbane. The Footy Shows had a network audience of 416,000 – 103,000 in Sydney and 176,000 in Melbourne. The NRL Show won its timeslot in Sydney and Brisbane. The Project was down to three at the desk with Waleed Aly away. Lisa Wilkinson was again reporting from London while Ryan Reynolds spoke with Julia Vogl about Deadpool 2. The Thursday edition was on 523,000. MasterChef featured an elimination challenge for the losing team from the midweek team clash. There were a few dud dishes to choose from, but it was Denise who was sent home. The episode did 792,000 after 791,000 a week ago. Law & Order: SVU did 377,000 followed by another screening of the first episode of Instinct, which did 220,000 after 428,000 on launch on Wednesday night. The repeat of the 2018 doco on the Queen ascending to the throne, The Coronation, screened at 8pm to 367,000. An episode of QI did 236,000 followed by Wentworth on 114,000. Great British Railway Journeys pulled the biggest audience with 267,000. The opening of the restaurant Vietnam House was getting close on Luke Nguyen’s Food Trail with 178,000 watching. It was episode five already of The Handmaid’s Tale, which did 243,000. 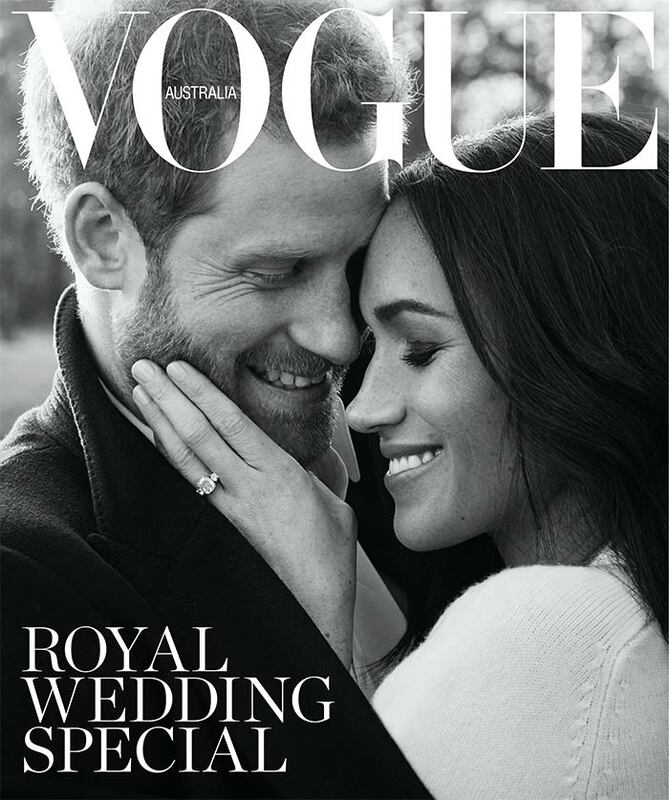 For the first time in its history, Vogue Australia will be producing a one-off royal wedding special issue. Starring Prince Harry and Meghan Markle’s wedding and a history of royal nuptials, Vogue Australia Royal Wedding will go to print within 24 hours of the couple’s wedding taking place in Windsor. The 156-page special issue will celebrate the history of royal weddings – from decade-defining styles to sparkling tiaras and the best of the British royal weddings. It will also showcase the most feted European weddings including Prince Rainier and Grace Kelly of Monaco, Crown Prince Frederik and Mary of Denmark and royal nuptials in Norway, Sweden, Greece and Spain. The Vogue Australia team will work throughout Saturday evening and Sunday as Prince Harry and Meghan Markle’s nuptials take place to get the final pages to the printer by close of business Sunday. 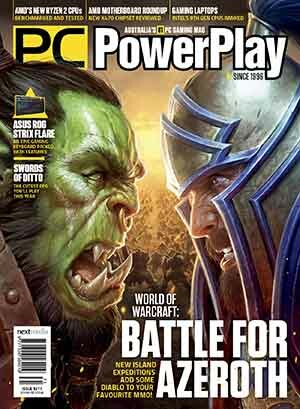 The magazine will be on sale Monday May 28. Sky News has announced its coverage of the Royal Wedding, led by Royal correspondent Rhiannon Mills and kicking off from 6pm on May 19. The unmatched resources of Sky News means everyone is invited to Saturday’s highly anticipated Royal Wedding of Prince Harry and Meghan Markle. From 6pm AEST, watch the entire event unfold LIVE from Windsor with uninterrupted coverage on Sky News Live, Foxtel channel 601. Utilising the knowledge and experience of the UK’s best royal watchers, Sky News will set the benchmark for LIVE coverage of the big day along with insights and background of royal wedding traditions. Royal Correspondent Rhiannon Mills will lead LIVE coverage from Windsor Castle with Meghan Markle tipped to be walking down the aisle just after 9pm AEST. Sky News will also provide a multiplatform digital experience including insights, analysis, highlights and video updates at skynews.com.au/royalwedding. 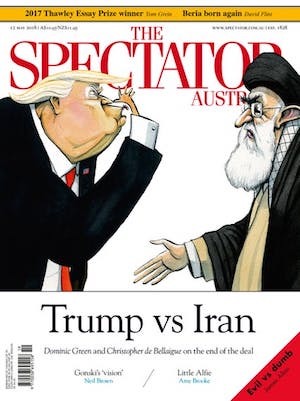 If you can’t watch LIVE on Saturday night, or you can’t get enough of a royal wedding, A-PAC, Australia’s Public Affairs Channel on Channel 648, will show the event in full all day Sunday. Event Cinemas is celebrating the royal wedding across Australia screening every moment of the wedding of HRH Prince Henry Charles Albert David of Wales and Meghan Markle live on the big screen, challenging TV broadcasters on what is traditionally the biggest movie night of the week. The cinemas are encouraging customers to come dressed in fun finery, with prizes awarded at each location for the best and most creative outfits. 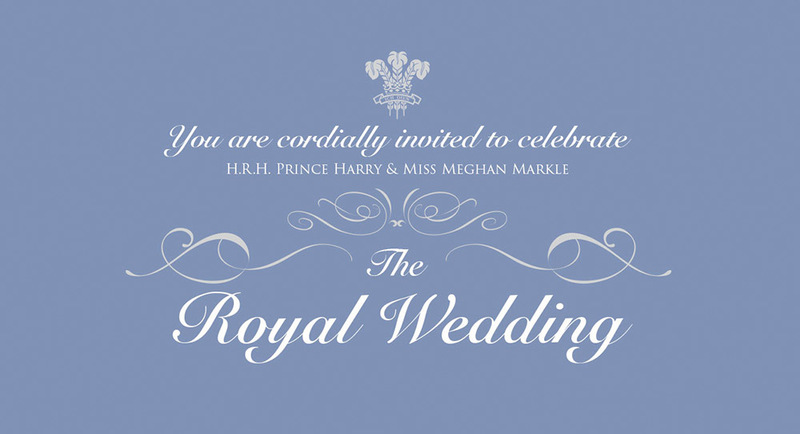 Tickets to the royal wedding live cinema screenings are $10, with Royal Packages also available for $20 including admission and two candy bar items (red, white or sparkling wine, Somersby cider, Mount Franklin water, choc top or small popcorn). Broadcaster Alan Jones has denied his radio commentary implied a Queensland family murdered 12 people by their actions during the 2011 Grantham floods, reports Allyson Horn from ABC News. Jones is being sued in the Supreme Court in Brisbane by four members of the prominent Wagner family, who claim they were defamed when the broadcaster implied they were responsible for the deaths when one of their quarry walls collapsed during flooding in 2011. The allegations were made in 32 broadcasts aired on radio between 2014 and August 2015. Jones’s employer Harbour Radio, along with 4BC and journalist Nicholas Cater, are also being sued. In court on Thursday the Wagners’ lawyer Tom Blackburn accused Jones of using his radio broadcasts to “convey to your listeners the Wagners had committed murder”. “No, I did not,” Jones replied. Jones admitted his critique of the Wagner family had been “savage” but denied it was vicious. Google Vice President Anil Sabharwal says the tech giant will learn from the data privacy scandal it’s currently facing, as it prepares to head off an ACCC investigation announced yesterday, reports The Australian’s David Swan. The Australia-based executive, who runs Google’s Photo product, told The Australian privacy and user trust had always been the single most important thing for the company when designing its products. “I think everything that’s happening right now is really great as a reinforcement to help us continually look and investigate, and make sure that we are doing the right things,” Sabharwal told The Australian at the Myriad tech conference in Brisbane. Celebrity accountant Anthony Bell, whose high-profile and at-the-time highly acrimonious divorce from model Kelly Landry last year spawned a thousand headlines, is suing The Daily Telegraph, reports AFR Rear Window columnist Myriam Robin. In a statement of claim filed in the Federal Court earlier this month, Bell’s lawyer wrote that the paper defamed his client through two articles (and their online republications) printed in July last year. They were written by Tele gossip scribe Annette Sharp, who is also being sued by Bell personally. It’s no secret that the proposed reunion of CBS and Viacom hasn’t been a Hollywood romance. But simmering tensions erupted into open warfare this week, with far more at stake than control of two legendary entertainment companies, reports The New York Times. No matter who emerges the victor in what promises to be a prolonged series of courtroom showdowns, both companies will be profoundly affected, and the broader media landscape fundamentally transformed. 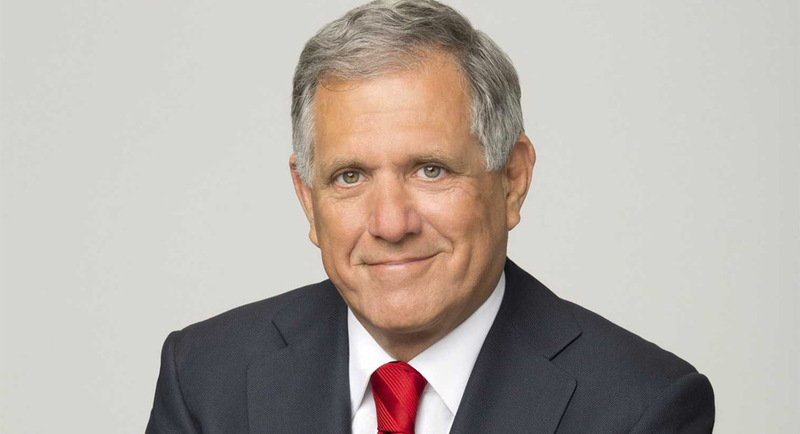 The CBS chief executive Leslie Moonves and the company’s board launched the opening salvo on Monday, filing suit to prevent Shari Redstone, the controlling shareholder of both CBS and Viacom, from firing CBS directors before they could dilute her voting rights and strip her of control – a step they plan to take Thursday, provided that a judge in Delaware allows it. Members of the Outdoor Media Association (OMA) have launched a campaign as part of a global partnership with the National Geographic Society and OOH industry bodies from 20 countries around the world to bring attention to species at risk of extinction. Commencing today (May 18) for Endangered Species Day, a variety of images will run across digital signage in NSW, Qld, SA, Vic and WA to raise awareness about populations in decline all over the world and to inspire people to learn how to help protect them. The campaign will be unrolled first in Australia and is supported by eight companies: Adshel, APN Outdoor, Bishopp Outdoor Advertising, goa, JCDecaux, oOh!media, Outdoor Systems and QMS Media. “OMA members annually donate more than $36 million in media services and space to support community and government programs,” said OMA CEO Charmaine Moldrich. The National Geographic Photo Ark, led by photographer Joel Sartore, is a multiyear endeavour to document every species living in zoos and wildlife sanctuaries, encourage action through education, and help save wildlife by supporting on-the-ground conservation efforts. Brisbane breakfast radio star Ash Bradnam has thanked Boy George for helping him stay sober, reports News Corp’s Amy Price. The Nova 106.9 breakfast host, who is three years sober after a well-documented struggle with alcohol and medication, swapped stories with the British singer, who is 10 years sober, during an interview on Nova’s Ash, Kip and Luttsy with Susie O’Neill today. “I’m a recovering addict. It’s been a huge struggle for me,” Bradnam told Boy George. “I’ve looked to people who have chalked up sobriety when I’ve been hopeless and without hope, and I know what that feels like, and you’re someone that I went, wow, you’ve got through and created a life of sobriety. Analysis by Fairfax Media shows of the 50 businesses that appeared on Shark Tank last year, 27 received investment from the Sharks on television. However, only four of these investments actually went ahead, reports Fairfax Media’s Cara Waters. 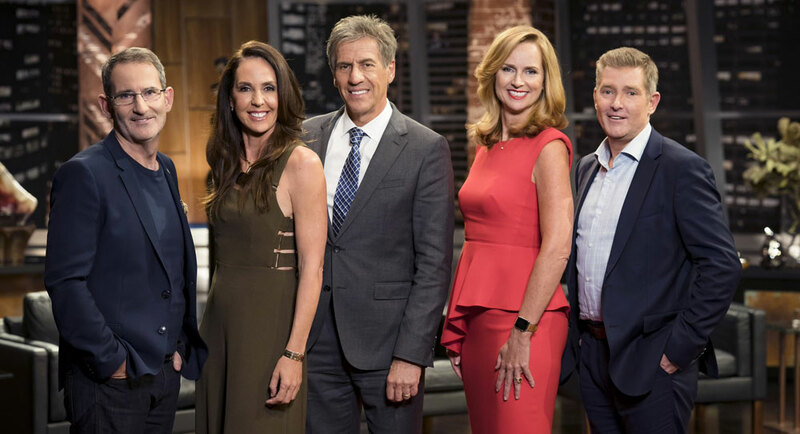 Shark Tank’s Steve Baxter, Janine Allis, Andrew Banks, Naomi Simson and Glen Richards. 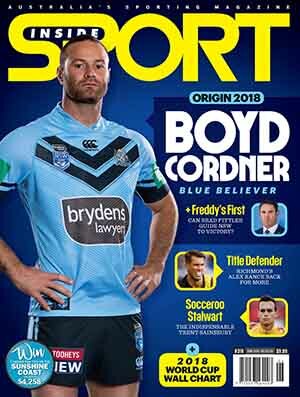 Channel Ten claims that across all four series of the show the Sharks have invested more than $21 million, which would equate to around $5 million each year. However, Fairfax Media’s investigation of last year’s series shows the investment from the Sharks only proceeded for four businesses with the Sharks investing $625,000 in total for the year. Two Sharks, Naomi Simson and Steve Baxter, did not pay out for a single investment for the series despite “investing” in numerous businesses on the show. 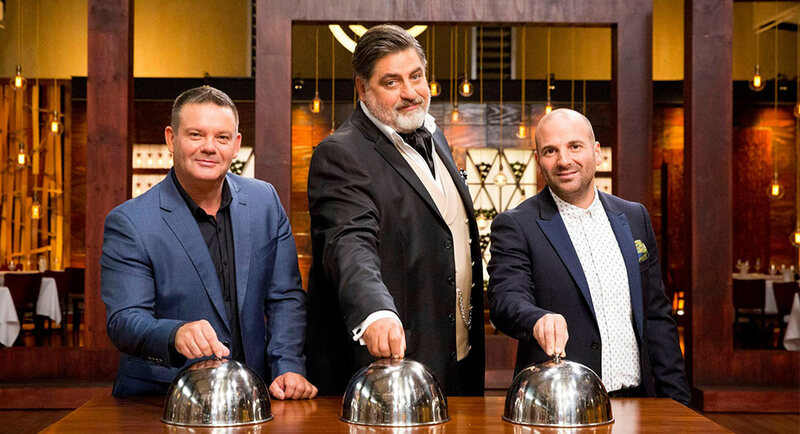 A spokesperson for Shark Tank’s production company, Endemol Shine, told Fairfax Media that it is important to remember that the Sharks are investing their own money. Victoria Racing Club is betting that the glamour of the Melbourne Cup will attract a field of bidders for its broadcast rights, which have been put up for tender for the first time in 16 years, reports The AFR’s Max Mason. The VRC has opened up the field beyond current partner Seven West Media as it looks for media partners that can cash in on interest in not only the racing but also off-track content, such as fashion, across a range of platforms including television, mobile and digital. The VRC has previously experimented with different platforms, such as Twitter’s first-rights deal outside of the US to broadcast the Melbourne Cup.